A nurse and a nurse educator, Dr. Diann Martin set out to attend a symposium in Ecuador in 2016 that ultimately changed the face of her career. It inspired her to create service learning programs in developing companies, and led to the development of new programs within her Conscious Nurse Academy, which is a four-month program designed to transform the lives of nurses both personally and professionally. The newest branch of the company is RoadScholars/RN International, through which she will provide clinical supervision to students looking to gain clinical experiences in third-world countries like Ecuador, Cuba, and the Philippines. Dr. Martin is proud of her ability to customize the programs to allow participants to study the local health care system and the beliefs that influence local practice. She finds mentoring nurses to become effective leaders to be particularly rewarding. Another branch of the company is RoadScholars/RN. There, she draws on her experience as an educational leader to consult with schools and universities regarding topics like program improvement, curriculum planning, instruction development and clinical partnerships. She has previously consulted for Herzing University, Beckfield College, and the Pacific College of Oriental Medicine, among others. 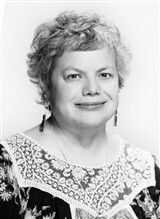 In addition to her professional endeavors, Dr. Martin has published some poetry in the Journal of Modern Poetry. She also enjoys performing as famous nurses in one woman shows, including “Just Visiting – The History of Visiting Nurses,” which premiered in San Antonio in 2014. Other creative credits include the nursing textbook she authored and her inclusion in the book, “Mastering the Art of Success,” by Jack Canfield. Dr. Martin prepared for her journey by earning a PhD in nursing and a Master of Science and by becoming a registered nurse. She also garnered hands-on experience as the dean of nursing at Herzing University, Colorado Technical University, Concorde University, and Kaplan University, and as an executive leader in home health and hospice. She attributes much of her success to her time in academia; she had a wonderful professor who served as a role model and a dean who served as a mentor. Looking to the future, Dr. Martin intends to continue bringing young nursing students to developing countries in order to experience and learn global health needs. She eventually hopes to become a thought leader in her field, and to transform nursing through self-development and leadership. If she could offer some advice to the younger generations, it would be to find and stick with people who share the same passion and to focus on solutions, not problems. When Dr. Martin isn’t working, she enjoys writing, biking, and watching movies.